Join host Kelly Galea for this interview with guest Denise Antoon where you’ll learn tips and strategies to become a celebrity in your field or make your business a superstar using PR, Social Media and Events. Many entrepreneurs cannot afford to hire a traditional PR or Social Media and Event firm or think it should not be part of their business. On this episode of “Creative in Business”, you’ll learn several things you can do within your own business to get the word out about your products or services. There are several ways to become known to the world using some simple tools. Click on the Listen Now button below to discover how to become a celebrity in your field! Denise Antoon, J.D., M.S. founded the Antoon Group, leveraging her experience in the entertainment industry and her extensive knowledge of media to help people become celebrities in their own industries. Like many young girls, she dreamed of making it big in Hollywood and began college as a theater/drama major. She quickly discovered she loved the business of Hollywood. Denise held professional positions in talent acquisition through a well-known talent agency, casting at a small film-production company, public relations within the art and music fields, business and legal affairs at a major network studio and talent management—all with many of Hollywood’s big names. 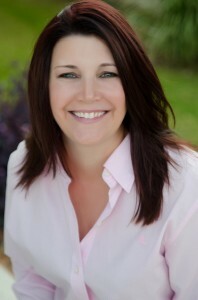 She has extensive experience budgeting, scheduling, coordinating and supervising large and small media events. Denise attended law school to further her career and worked as a jury consultant on several celebrity criminal cases. She has appeared on the Today Show, Fox and Friends, Dr. Phil and several local news programs; been interviewed on national radio shows; and featured in People magazine. Denise teaches at several universities at both the undergraduate and graduate levels. 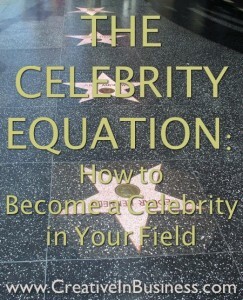 Through the Antoon Group, she coaches clients one-on-one and created The Celebrity Equation ™ a step-by-step program to help anyone reach celebrity status within their field through media and events. Connect with Denise at dantoon@antoongroup.com.